Bill Gates, Mark Zuckerberg, Sheryl Sandberg, who next? 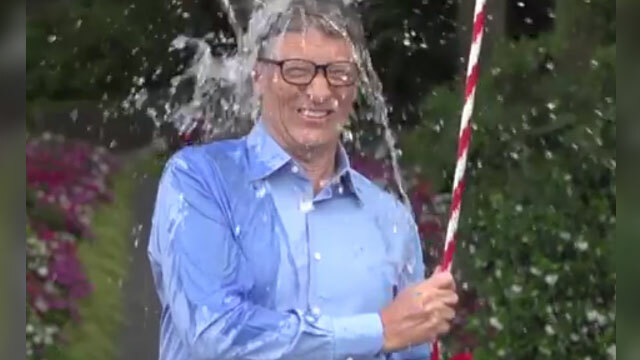 The global leaders of tech are taking on the most viral – and chilling- charity campaign to date by dumping buckets of ice on their head in order to raise awareness for Lou Gehrig’s Disease. TechCrunch posted an article lining up all of the tech leaders who have taken the ALS challenge so far, each of whom helped contribute to the tens of millions of dollars in donations. So far, the organization has seen 2.4 million videos (and counting!) of #IceBucket challenges posted to various social media sites. Can you think of a better way to raise money during California’s worst drought of all time (since 1895)? Check out how our very own CEO, Irene Baran, made her own version of the ice bucket challenge in light of the California drought. Learn more about the ALS #IceBucket challenge and exactly why it’s become so viral.